BLACKAMOOR (RHYMES WITH AMATEUR AND CONNOISSEUR): A dark skinned figure, typically African, used as a decorative element in jewelry, sculpture, armor and decorative arts. Blackamoors have a long history stretching back to the 17th century. They are often displayed in pairs. 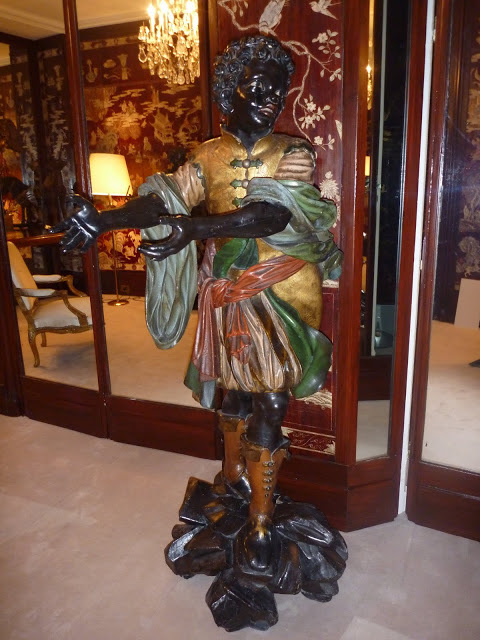 Andrea Brustolon (1662–1732) was the most famous sculptor of blackamoors. Typically they are shown in positions that a real person could not hold at length. Although controversial, many tastemakers have collected blackamoors in some form. Coco Chanel had a pair of Venetian pair in the foyer of her private apartment above her atelier. Helena Rubenstein also collected them. 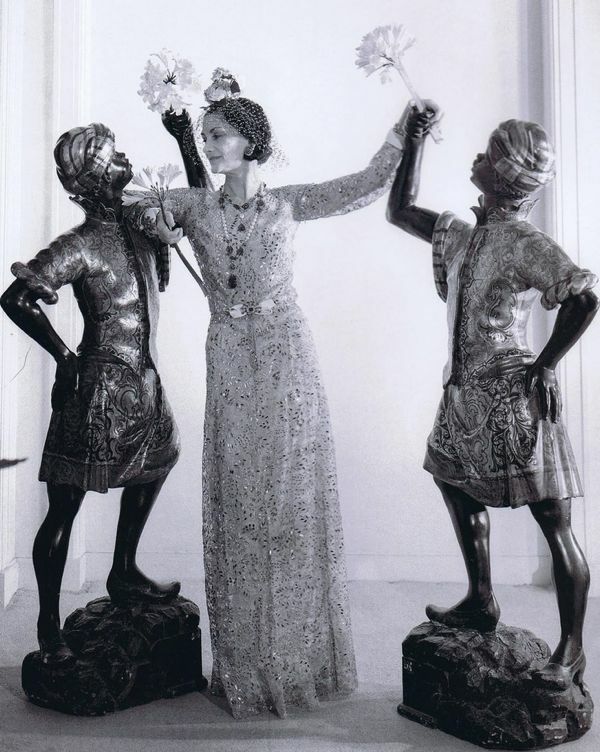 Diana Vreeland collected Blackamoor jewelry and famously said: “Have I ever showed you my little blackamoor heads from Cartier with their enameled turbans? 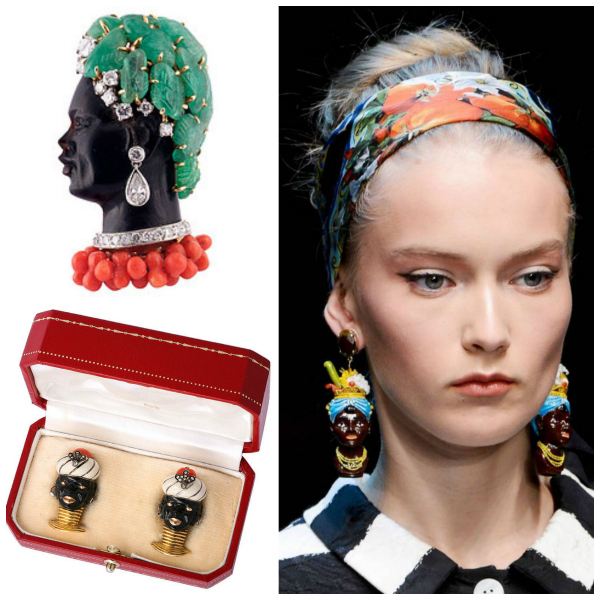 I’m told it’s not in good taste to wear blackamoors anymore, but I think I’ll revive them.” Recently Dolce & Gabbana raised a firestorm by decking out its models in blackamoor jewelry in their S/S 2013 collection. Despite the controversy, the form persists. 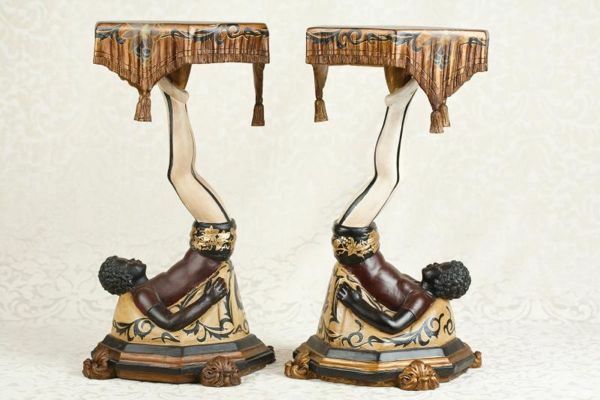 When it comes to decorative arts, it is most often seen as a small stand, as lamps or candlesticks, or on a clock. While some consider the blackamoor to be chic, I would not use the motif. However, now that you know its many forms, you can decide how you feel about it.